An Easter Monday family event at the Macouchrie Beach became a murder scene. Hot live music, wine, dance, barbecue smoke, gentle sea breezes-and bullets-became a deadly cocktail. Somehow, Elio Edwards, 23, of Pointe Michel was killed before the music died; somehow, someone found a way to make the nation sad again. But in the meantime, Edwards' relatives told the Sun that although Elio may have been a "bad" boy for getting into some unfortunate situations with the law, no one, including Elio, is all bad. "Besides the entire problem he was getting into, he was a very nice person", said the dead man's cousin whose name the Sun has withheld. "He used to be at my home every day…he would come see dirty dishes and wash them, he would always helping. We would be in town, he would carry my bags and he was nice to the children. He not all bad and I feel he was neglected as a child so that caused him to be doing what he was doing." The cousin added that had Edwards received "proper direction" as a child, he wouldn't have been in those situations; his father died when he was a baby and his grandmother raised him. She passed away recently. "He was his grandmother's favourite because he was a loving child any time he got into problems she would find somebody her pressure would be up because she just wanted somebody to help him," she stated. She remembered the night her cousin was shot on the Macouchrie beach on Easter Monday night. "The night he died I saw him on the beach and I was passing him straight. He pulled me to hug me, I tell him, 'boy, leave me alone'. He tell me 'give your cousin a hug' and we began laughing. Then I left, then about 45 minutes later I heard the gun shots. When I got home I got a message that someone shot Elio." Saddened by the incident, Emile Depoter, the manager of Triple Kay International, the band hired to play live music on the beach that night, says it is going to be "a little while" before the band plays again. "We are not happy about that (the incident) because that is not the intent of Triple Kay or any of the band members," he said. 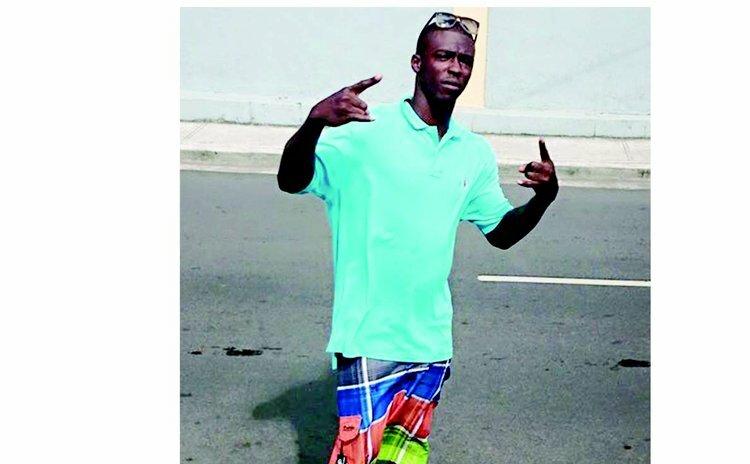 Meanwhile, Police Public Relations Officer, Superintendent Claude Weekes, said the incident occurred about 11: 30 pm and Elio was pronounced dead when he arrived at the Princess Margaret Hospital (PMH)." Weekes added that the police are investigating and "one man is assisting the police…but no formal charges have been laid in this regard."